Is the task of constantly upgrading your server, OS and applications costing you valuable time and resources, as well as draining your IT budget? Would you like to just simply offload not just the management of your systems, but your actual systems in Chicago themselves to another organization? Would you like to ensure your systems are hosted by an organization with skill in ensuring your systems are always up-to-date, secure and available 24/7?With Virtual Hosted Office “cloud computing” , your business will finally experience reduced downtime, eliminated costs of upgrades, and an increased level of security while running smoothly no matter what local disruptions occur in your office. 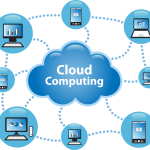 We can host your entire IT infrastructure in the cloud, wholesale eliminating most if not all of your in-house IT management expenses — you ultimately will have access to all your systems from the Internet itself. With ever increasing bandwidth at our disposal, the utility of simply outsourcing your entire IT systems to an off-site provider is feasible now more than ever. We will help you determine what services you can release from your internal network, and what services make more sense to be managed on-site. By offloading services to the cloud, you are freeing up time, cost, and mental energy previously dedicated towards ensuring your IT infrastructure is operational. You are putting your complete set of systems in the hands of those who are dedicated, available, and capable of ensuring the 24/7 reliability of your services. Reliable – Get 24-hour monitoring and state-of-the-art Help Desk services. Scalable – This solution smoothly grows as your business does, and smoothly shifts as your business shifts. Secure – Your data is stored in our secure off-site facility. Mobile – Access your network and data from anywhere. Cost-effective – We offer rental, pay-as-you-go features as needed.